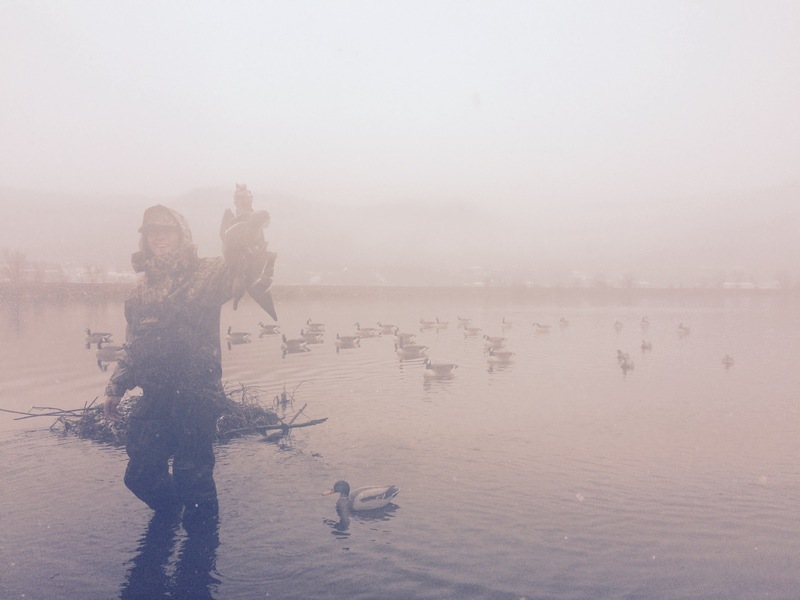 I recall my last duck hunting trip during a big cold front like it was yesterday. 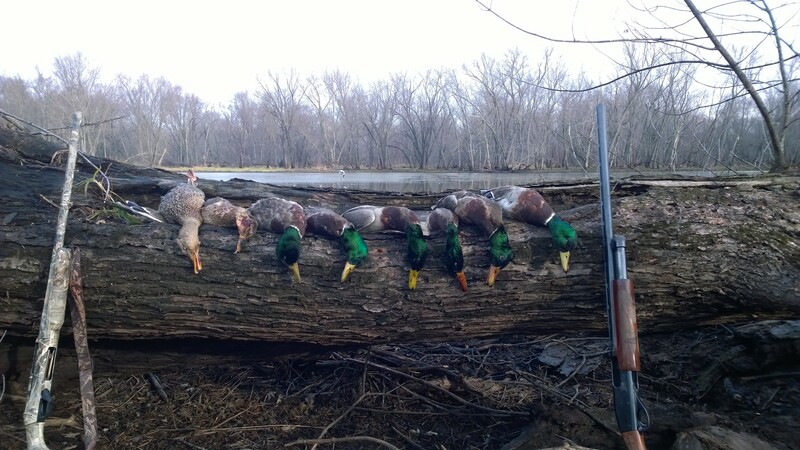 The winds were howling and the duck gods had greenheads diving into the decoys. Limits were easy and it made you feel like the best duck caller ever. The hunting continued to be good for a few more days and then it went dead. Sound familiar? Over the past few seasons I have witnessed less big pushes of ducks because of the warm weather and it has forced me to become better at killing these stale birds that seem to know the refuge boundaries like it is a safe zone. I have found two tactics to be effective. Scouting to find an out of the way honey hole and creating my own refuge look. I will go into each tactic below. 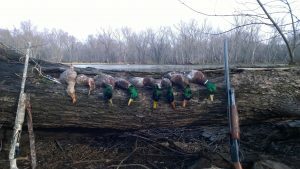 Scouting to find an out of the way location the ducks are using will yield the most enjoyable hunts. Often times the flock sizes are large and the birds work the call and decoys very well. But finding these spots is easier said than done. With google earth and all the other mapping tools online there are fewer and fewer secret spots. So often times these secret locations are more of a pain to get to more than anything. In areas where everyone is running big blind boats, a walk in only area can often hold unpressured ducks. It also could be a spot that is far away from any public boat launches on a river. Think to yourself if I was a duck and I was trying to get away from all the hunters where would I go? This is my most consistent way of scratching out good numbers of stale and refuge wise ducks. 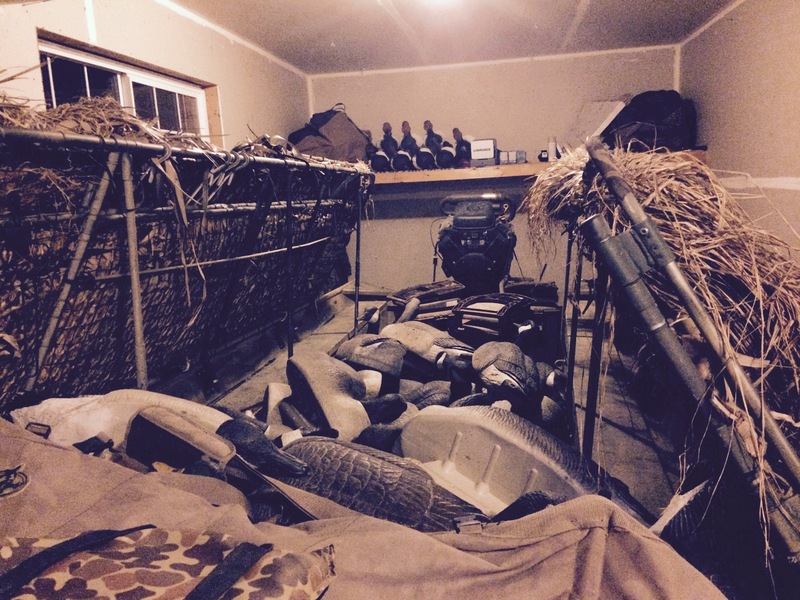 I setup in an area very close to the refuge the birds are using or in between a couple refuge areas they are using with a HUGE floater goose decoy spread and just a dozen or two mallards. I pack my boat with as many goose floaters as it can hold and deploy this spread in two to three large pods of geese with a lot of landing zones for the birds to land in. In the area I hunt most duck hunters are running two to three dozen mallard decoys, a spinner or two, and 4-6 goose floaters off to the side in the hopes to catch a loner goose. My HUGE goose floater spread not only looks different but it looks much closer to what the ducks see in the refuge itself given our large Canada goose population. So the next time you run into stale bird’s, change up the way you hunt them and leverage the tips above.